After solving Word Collect Level 1262, we will continue in this topic with Word Collect Level 1263, this game was developed by Platinium Player LLC a famous one known in puzzle games for ios and android devices. – Over 900+ Levels to play word games free! 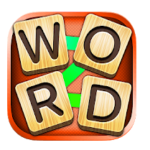 – Whether you want word games for adults or word games for kids, Word Collect is the best free word game! – For word games free single player mode, download Word Collect Word Game Now! After achieving this level, you can use the next topic to get the full list of needed words : Word Collect Level 1264.